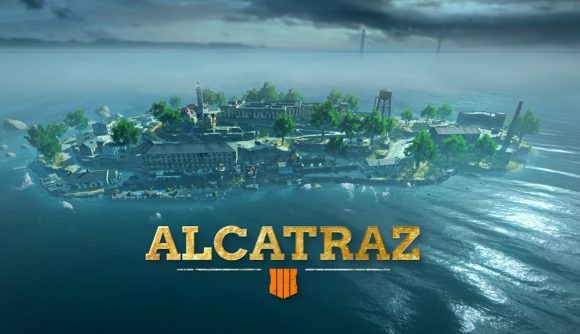 Based on early teasers, we knew Alcatraz was coming to Blackout in Call of Duty: Black Ops 4. But news that it’ll be a fully featured new map for the battle royale – not just a small addition to the existing map – comes as much more of a surprise. On top of that, another free trial for Blackout is coming, and this one will last the whole month. Before you ask, there’s no indication that any of this is an April Fools gag. Billed as a ‘close quarters’ variation on battle royale, Alcatraz naturally takes place on an island prison. The trailer shows lots of close battles in the spaces between buildings, and similarly narrow escapades inside the prison itself – which is also where we see zombies spawning for the mode. Snipers still get some love thanks to the watchtowers around the map. Alcatraz will go live for PlayStation 4 players on April 2, and as usual their PC (and Xbox One) counterparts will have to wait a week before getting in on the action. Tomorrow’s PS4 release will at least let us know exactly how the map is rolling out in terms of playlists and alternate modes, as Activision has yet to provide details beyond the brief trailer. We will get the benefit of free access to Blackout for the next month. The mode – including the new Alcatraz map – will be free until April 30, regardless of what platform you’re on. So if you need another free battle royale to get into, you’re well-covered. Check out the trailer above for a better look at Alcatraz. Black Ops 4 was one of our GotY 2018 picks, and that’s thanks in no small part to the excellence of its take on battle royale. Hopefully Alcatraz lives up to that standard – and either way, the new addition should help breathe fresh life into the game.